This must surely be every artist’s worst nightmare: Being squeezed between exhibitions of Caravaggio and Vincent Van Gogh. Art-lovers are still swooning over the summer-long exhibition of Caravaggio at the National Gallery. Now, how do you top that? Well, perhaps with the exhibition next summer of Vincent Van Gogh. For Ottawa art lovers looking to occupy themselves in between those two blockbusters, there’s the newly opened National Gallery exhibition called Drawn to Art: French Artists and Lovers in 18th Century Rome. Despite some high quality works, chances are only the most die-hard fans will head over to the National Gallery this fall for the new exhibition. And that’s a real pity because no other major exhibition is planned from January, after Drawn to Art closes, until May, when the Van Goghs are uncrated. The only new exhibition opening between now and then is a photo show drawn from the National Gallery’s own collection. That’s the kind of show galleries usually produce when they have no money for star power. This is not to say Drawn to Art should be avoided. 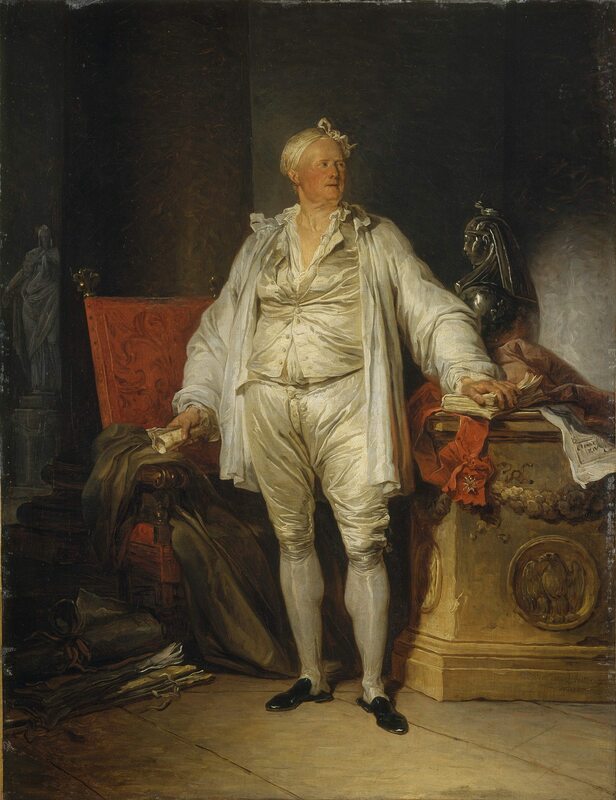 Worth the price of admission alone is the hilarious 1774 portrait of French art patron Pierre-Jacques-Onesyme Bergeret de Grancourt by Francois-Andre Vincent (right). Now, this Bergeret was a corpulent fellow, judging from the painting. But why is Bergeret “en deshabille,” as the French would say, on this particular day of his Roman vacation? In other words, Bergert’s clothes are all askew and partially unbuttoned, as if he had just arrived most hurriedly from a lover’s tryst. Even the fly on his breeches is open. The artist is clearly having some fun with the subject in this painting. One can only wish artists today would share that sense of humour while painting portraits of their moneyed patrons. There are 134 works in Drawn to Art. The majority are drawings but there are several paintings, beyond the Bergeret portrait, of interest. 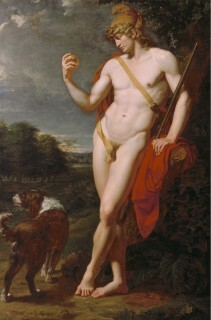 Among them is the National Gallery’s own painting from 1787-88 by Jean-Baptiste Frederic Desmarais titled The Shepherd Paris (below), the mythological character whose amorous intentions towards the already-married Helen caused the Trojan War. In the early 1980s, shortly after the Paris painting was acquired by the National Gallery, it was discovered that the work was not by Jean-Germain Drouais, as originally thought, but by Desmarais. The mistake was easy to make, seeing as how Drouais had a tendency to create paintings, like The Shepherd Paris, of handsome men in their birthday suits. And Drouais’s signature was actually, but incorrectly, on the painting. Some great detective work resulted in the painting being assigned to Desmarais. One can only hope paintings by Desmarais are worth more these days than those of Drouais.